First developed in Europe in the middle ages, personal chapels were built primarily by the affluent. These small chapels could be found in country estates, castles, and the lodging of abbots tucked away in a serene atmosphere. In many cases, these private places of devotion were used as a place to reflect. Although primarily common in Europe these small chapels are now catching on in the U.S. We knew Hermann Hill’s Village held the ideal setting to build a personal chapel. 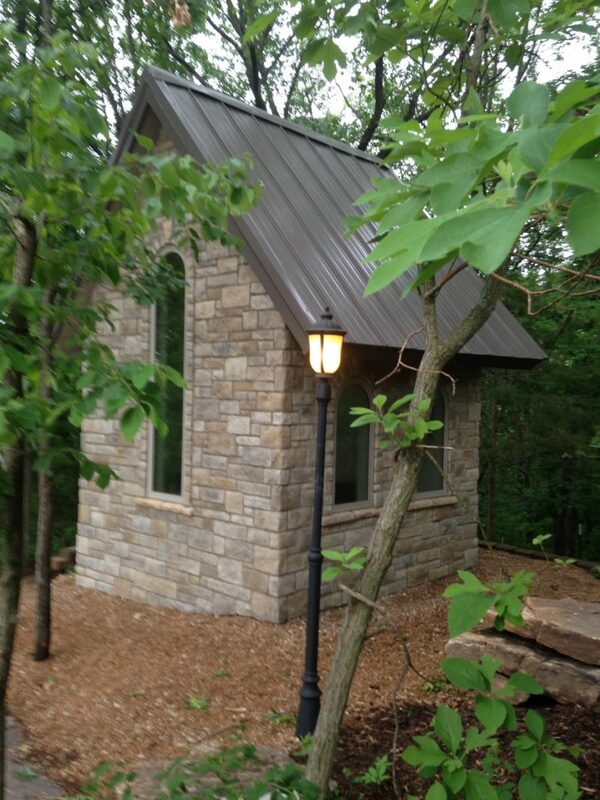 Tucked away in a woodland area overlooking the Missouri River, the personal chapel allows our guests a private personal space reflect on their life and their relationships. These couples may want to let go of a past hurt, talk through a problem, or simply share their hopes and dreams. We encourage all of our guests on their next getaway to Hermann Hill to shut the doors to the personal chapel and shut out the world even if just for a few minutes. Get a Bunch... of Deals! It’s free, and we won’t bother you too often. We promise.